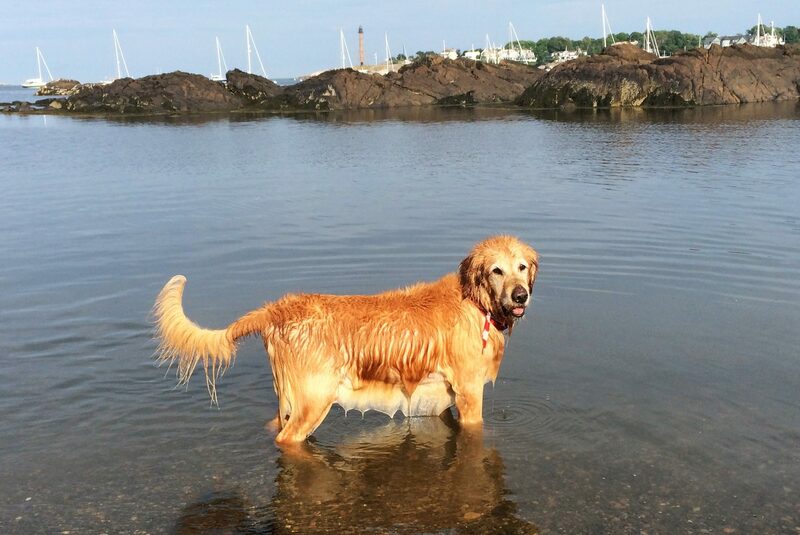 Thank you for visiting our website and Welcome to Original Beach Dog! We are a unique, local shop with original, dog-themed designs inspired by our beloved dogs, Lennon and Fenway, and their love of all things beach. Jim Dean, the artist behind the designs, pours his heart and soul into each and every piece. The designs are fun, hip, and they capture the essence of our dogs and yours at the happiest place on earth: the beach. We just opened our store in May. We will be open year round, and look forward to seeing you on your next trip to Rockport and the surrounding coastal Cape Ann area. Please bring your dog for a visit, too; we’ve got a bowl of tennis balls waiting! More to come soon. If you’re interested in a particular color or design and didn’t see your size in the shop, please call or email since we are getting additional stock every day.